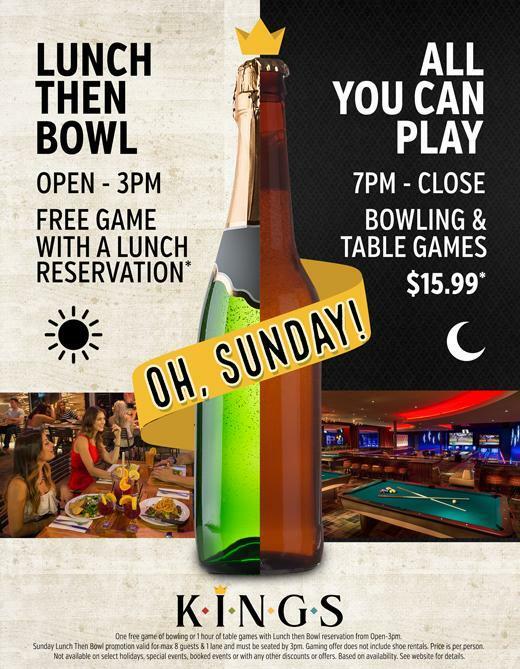 Free Game of Bowling with BRUNCH Reservation! ALL DAY: Your NFL Headquarters! Catch the game on our HDTVs & Projection Screens while enjoying ICE COLD Beer & Delicious Food. Kings is the perfect place for groups of any size!